How ingenious Coco. Well done with the fundraising. The cocoa powder stays on because of the baking? Great job with the cookies, the stencils look perfect!!! Oh my daughter will elevate me to ‘bestest mom in the world’ if I can make her these cookies! Thanks for posting! those cookies look fantastic ! 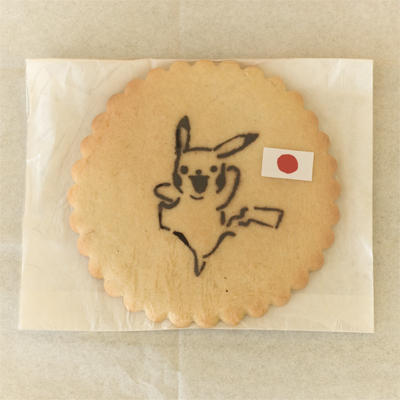 The cookie designs were such a good idea and so appealing to all children in that age group. And who wouldn’t like a huge butter/sugar cookie?? A good reminder that simple things are the best. Thank you for the post! Nice to see you’re back and bogging, always a pleasure to read what you’ve been up to! wow they must’ve taken u quite a bit of time to make! very cute! You make them so perfect!! And for such a bargain… who wouldn’t buy!? ノンタン must be very proud of you for taking his recipe this far..!!? 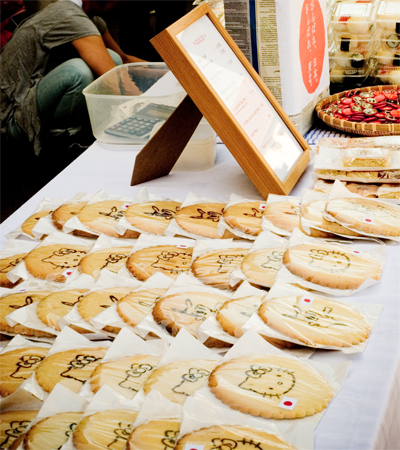 Hi, would you be at broadway market on 11 or 12 June? I would be visiting London and would love to visit your stall actually. 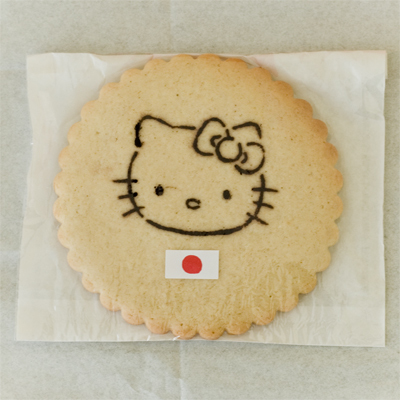 The Hello Kitty cookies are so darling! May I get the cookie recipe you used for these? I want to make these so bad bu, the sugar cookie recipe I have leaves cracks on top of the cookies. Best part about this recipe is that it yields about 40 50 cookies depending on how big you make them. These are adorable! I’m gonna try making some for my friend. What did you use to cut out the template? Hello Aly! Many thanks! I used acetate paper & scalpel blade. It takes time & precision but when you get used to it, it’s fun & calming to make! Good luck & happy baking! i was wondering were are all my fellow students, since can’t see any around london design agencies; went to csm today and looked up our graduation prospectus for surnames. found you and your fabulous cakes!